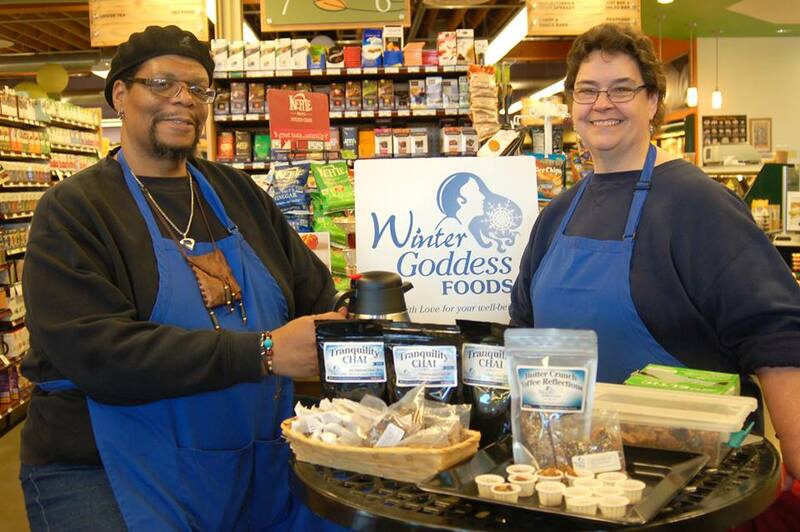 Winter Goddess Foods: Bring on the new! Last week I spoke at length about beating the winter blues. As I sit here today after yesterday's snowy assault, I am marveling over the change in the weather. After weeks of mostly sub-zero temperatures, it is now a balmy 41 degrees and sunny! Even though at times it seems like "Mother Nature " is a bit schizophrenic, at this point I'll take it. A little bit of positive change in the weather makes everything easier, plus it portends towards our hope for Spring to arrive, and other good things to come. 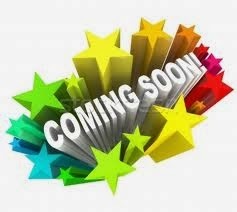 With that in mind, Terry and I are excited about our two new products that we are introducing this week. As always, we listen to suggestions from our loyal fans and followers, especially where there is a real need for a product for folks who are sensitive or cannot have certain ingredients. For example, when we first started in business with our Tranquility Chai, a woman at one of our venues really wanted to sample it, but could not because she was diabetic. "I sure wish you had an unsweetened version," she told me. "Let me see what I can do," I responded. That is how our Tranquility Chai Unsweetened was born! Over time, as our product line expanded, we added Tranquility Vegan, along with a number of other products. Terry and I experiment in making other products to fit certain niches as well, and while we aren't always successful, we try our best to bring you Comfort Drinks and Comfort Snacks that are good tasting, healthy, and satisfying. This is one of those successful times! Our first new product is actually an old product to those who know us around the Twin Cities area. Our Aww Nuts! are a staple during farmers market days. They are normally sold unbranded in small 4 ounce bags. However, after requests for a larger size, we are adding a 6 ounce branded package to our stable of products, which will be available for both wholesale and retail sale on March 16th. Aww Nuts! 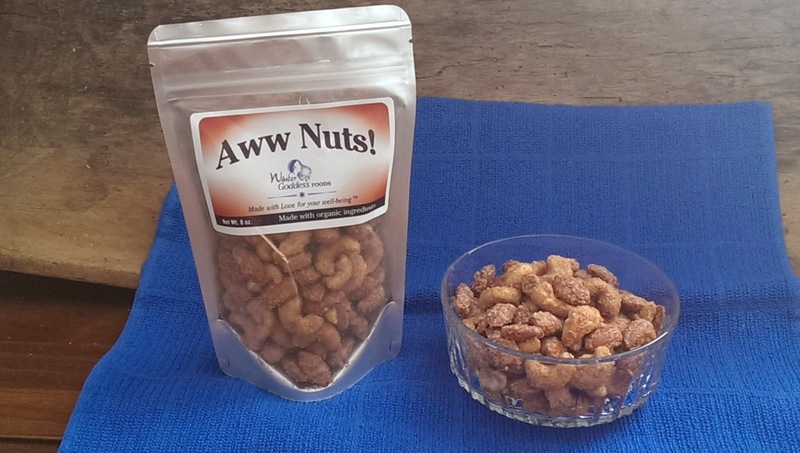 are a tasty sweet and savory mixture of almonds and cashews, coated in brown-sugary cinnamon goodness. As you chew them, they start out a little sweet, before finishing with a little "kick" thanks to just a touch of added cayenne pepper. Don't worry though. There's not enough heat to hurt you, just a little tingle to make things interesting for your mouth. Warning: These little gems are very, VERY addictive! Product number two is something I am particularly proud of. While our grand kids love our products, our grandson happens to have a nut allergy, which limits what he can and cannot have. Quite a few of our patrons at the farmers market have also expressed this same concern for themselves and family members as well. Terry and I pondered over this for months, discussing various flavor combinations that I might experiment with. Finally in December, we had it! After extensive test marketing, branding and packaging, it is finally available. For our friends out there who have allergies or sensitivities to tree nuts (and to those who don't), introducing Winter Goddess Sunflower Apple Raisin granola! 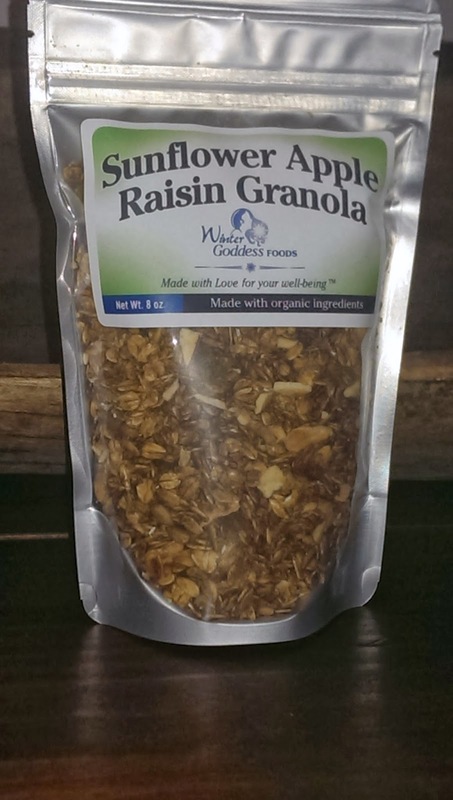 Sunflower Apple Raisin granola is a delicious blend of plump golden raisins, crunchy sunflower kernels, and tart apple pieces sourced locally from our friends at Brand Farms in Farmington, MN. Now folks with nut allergies have an alternative. No longer do they have to sacrifice taste or texture to enjoy a good granola. Sunflower Apple Raisin is a satisfying combination of chewy, tangy, nutty goodness; perfect for everyone! Terry and I are proud to introduce these new offerings to you, our loyal followers. And like our other products, they are made with Intent, and made with Love for your well-being. We enjoy them a lot. We're hoping that you will too!